Whether you are staying in the town of Jackson or in the Teton Village Mountain Resort, there are several great options where you can enjoy authentic Wyoming cuisine and a great Wyoming atmosphere. Dining in Jackson Hole, Wyoming often includes some form of wild game like elk, bison, and deer. If you’ve never eaten wild game, there are numerous places to eat in Jackson Hole that prepare and serve it well. I understand not everyone eats red meat. In fact, I eat very little of it myself. So I’ve also provided both pescetarian and vegetarian/vegan alternatives to the popular red meat options. 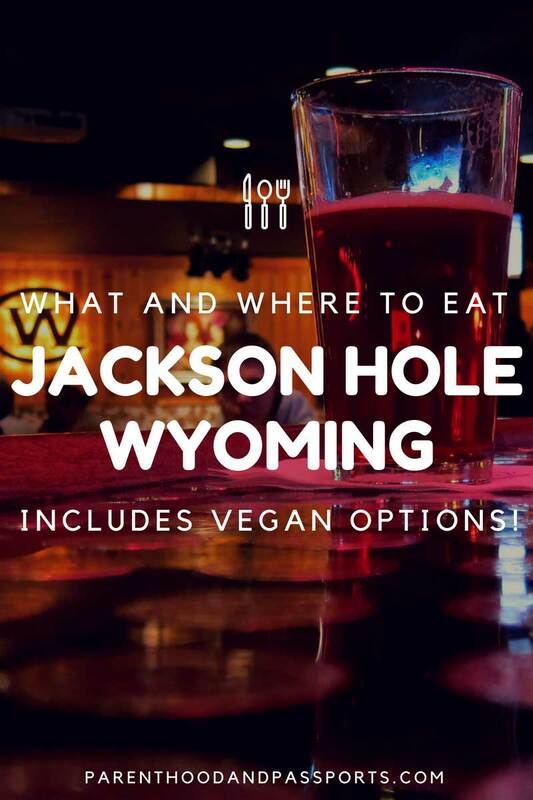 Whether you are a meat eater or a vegetarian, you can find plenty of places to eat in Jackson Hole that will suit your tastes. Here are a few of our favorite restaurants in Jackson Hole, Wyoming. If game is what you seek, The Gun Barrel Steak and Game House is probably the best fine dining game option in town. The food is wonderful, and the atmosphere screams Wyoming. It is a family-friendly restaurant but it is on the pricier side. An average entree is about $30 a person. While you can find a traditional steak here, game is the specialty at The Gun Barrel. Red meat lovers should try the elk chops or the buffalo prime rib. Both dishes are best cooked rare or medium rare. The Rocky Mountain Rainbow Trout is a wonderful alternative to red meat. Trout is a native fish in Wyoming, so you can guarantee what you are eating is as fresh as it is delicious. If you’re a vegetarian or simply in the mood for something of the vegetable variety, go for the vegetable lasagna, topped with marinara and Parmesan cheese. Unfortunately, The Gun Barrel Steak and Game house doesn’t have much in the name of vegan cuisine. The spinach leaf salad would be your best bet if you are a strict vegan. 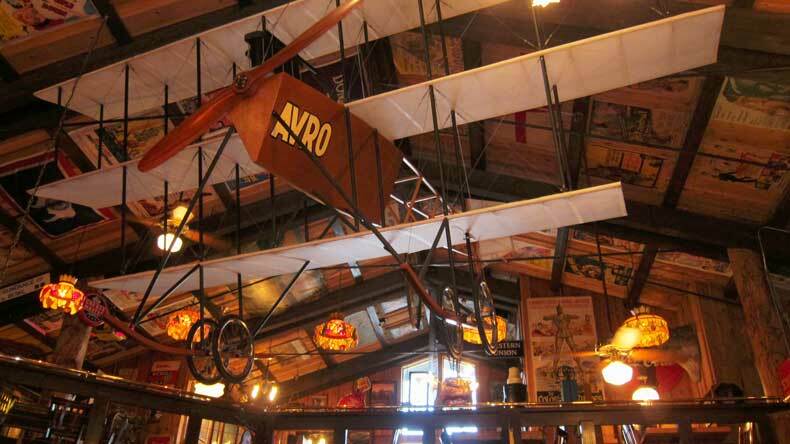 The Silver Dollar Bar and Grill is a must visit! It is located inside The Wort Hotel, which is one of the best places to stay in Jackson. and offers a great atmosphere for people of all ages. In the grill there are large windows and outdoor seating which offers great people watching, especially in summer when Jackson is most popular. In the showroom or bar area, there is live music several days of the week. Be sure to check out the bar top while you’re there. It is covered in old silver dollars, giving the restaurant it’s name. 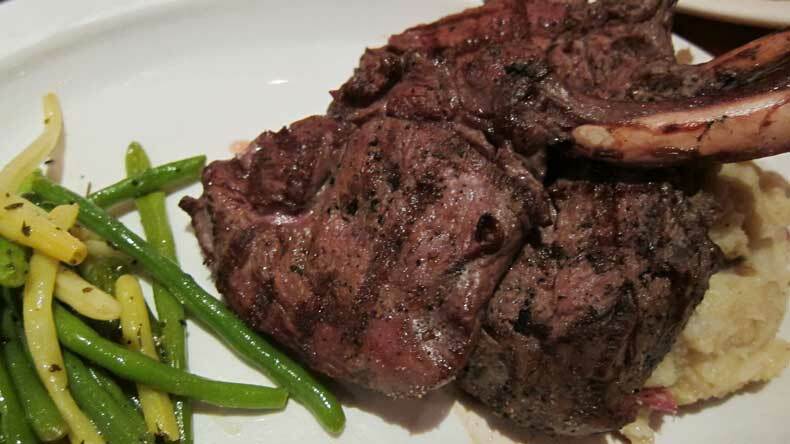 You’ll find wonderful beef and game options at The Silver Dollar Grill. The Buffalo Filet Mignon is a favorite at the restaurant. It’s served alongside sun-dried tomato Moroccan cous cous and grilled broccolini. Fish lovers will LOVE the Porcini dusted Idaho Steelhead. Steelhead is a type of Rainbow Trout native to the region. The dish is topped with lump crab and served with grilled asparagus. Order the vegetarian mac n cheese which has wild mushrooms, peppers, and greens on top. It is delicious! Or go for the vegan spaghetti squash, which is equally yummy! We love the The Mangy Moose and visit every time we go to Jackson Hole. It is one of our favorite places to eat in Jackson Hole. 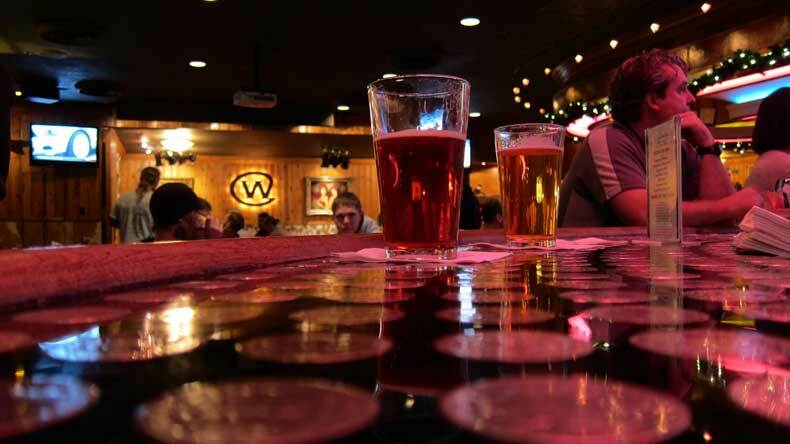 Located in Teton Village, it is a popular place to grab a quick beer after a day on the slopes. There is usually live music in the saloon section, which is non-smoking and kid friendly until 10 p.m.. There is also a quieter restaurant side completely separated from the saloon. 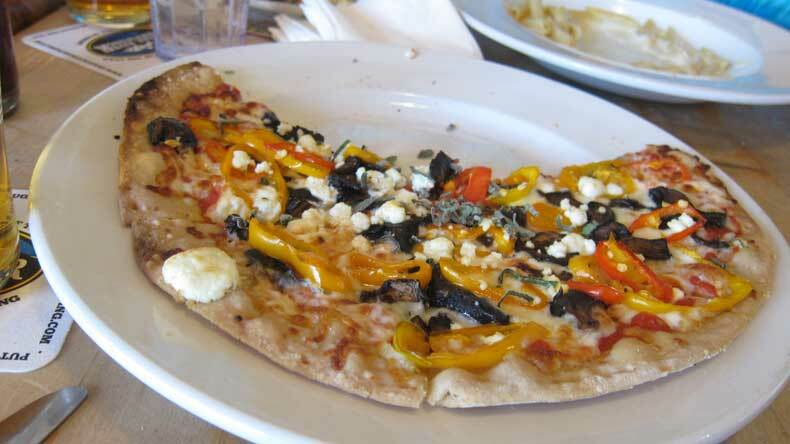 The restaurant offers more variety in their menu, which is moderately priced. The restaurant itself is filled with vintage decor that is super cool. You can’t go wrong ordering their buffalo burger which is served with white cheddar, jalapeno jam, and hand-cut fries. You can also order this in a gluten-free bun. The Mangy Moose has a daily seafood selection in the restaurant. Or go for the lump blue crab cake appetizer, one of our favorite dishes on the menu. The Mangy Moose has a variety of salads, including a spring vegetable risotto and a green bowl, which includes quinoa brussels sprouts, and fresh vegetables. On the appetizer menu, you can find a large fruit plate and avocado toast with red pepper flakes. We are huge craft beer lovers and seek out craft breweries in our hometown and when we travel. Because of this, we love visiting Snake River Brewing. It is located within walking distance to downtown Jackson, but is a few blocks away from the town square. They have a wide variety of great craft beers made on site. We ordered pizza, which was surprisingly good. There is a bar section for those who are 21 and up and a restaurant side which is family friendly. 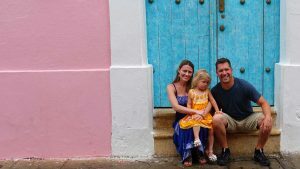 In fact, they were very accommodating to our little family, even sitting us in an empty section of the restaurant where our toddler could have free reign without bothering other diners. If you hadn’t had enough game to eat yet, you’ll find a few options at Snake River Brewing too. A good game option here would be the Wild Game Ragout which is a rigatoni pasta dish with braised elk. A popular fish dish on the menu is the Skuna Bay Salmon. It’s served with sherry braised mushrooms and fennel, potato hash and sweet pea puree. This dish is also good for those with gluten sensitivities. Vegetarians and vegans will find a few options at Snake River Brewing. Try the warm beet salad without the bacon or goat cheese (another great gluten-free alternative, as well), or the California pizza without the goat cheese. 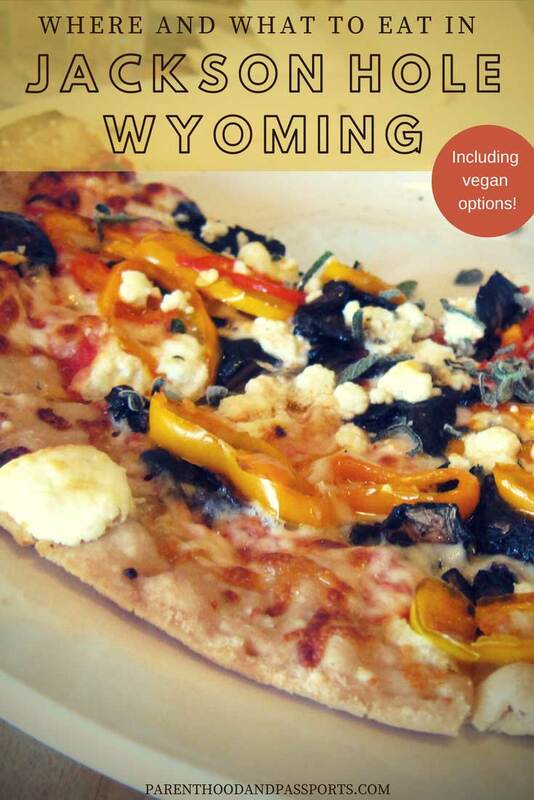 Have you been to any of these great places to eat in Jackson Hole, Wyoming? Leave us a comment below and let us know your favorite restaurant for dining in Jackson Hole.